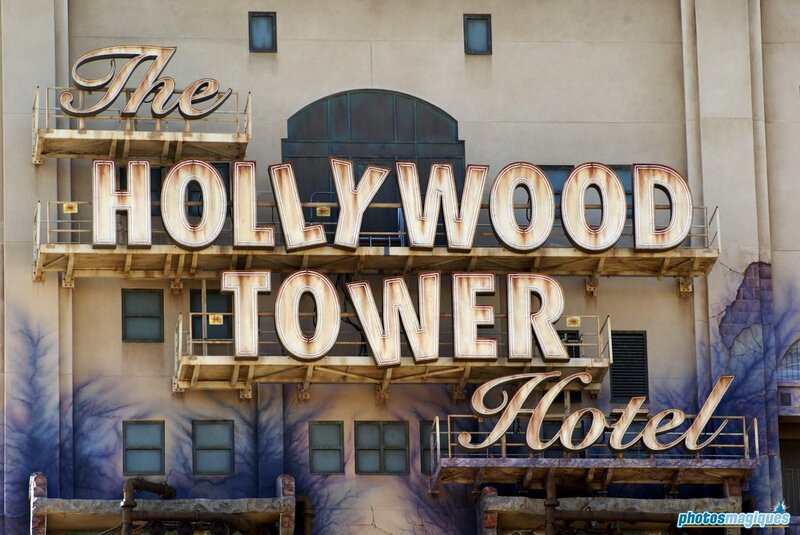 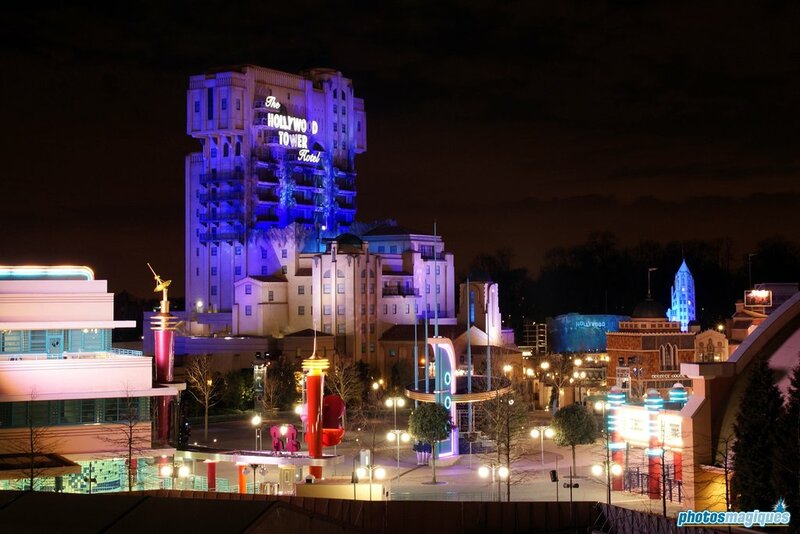 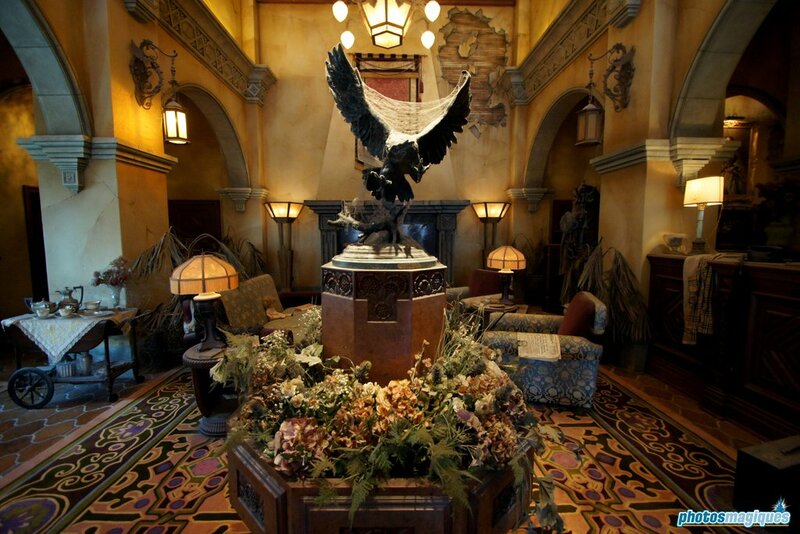 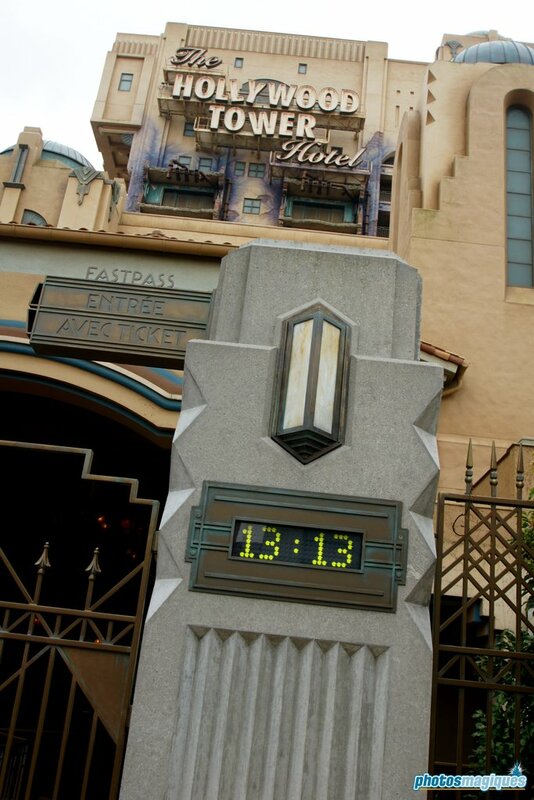 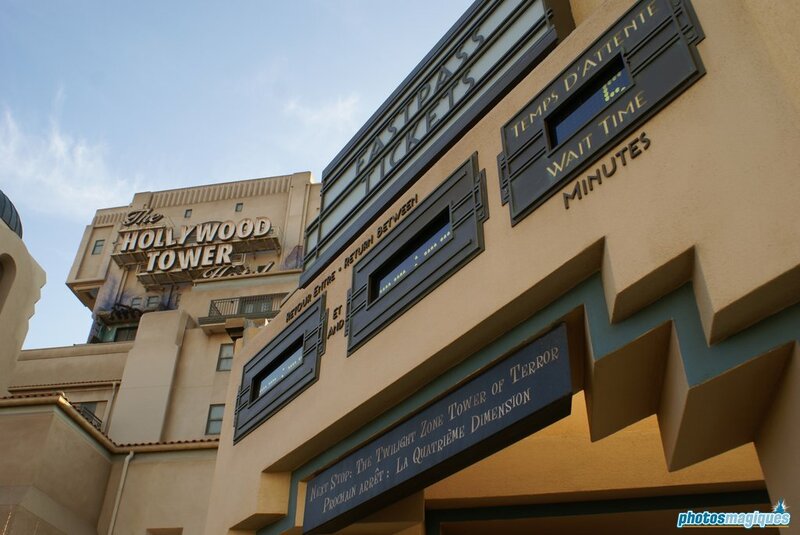 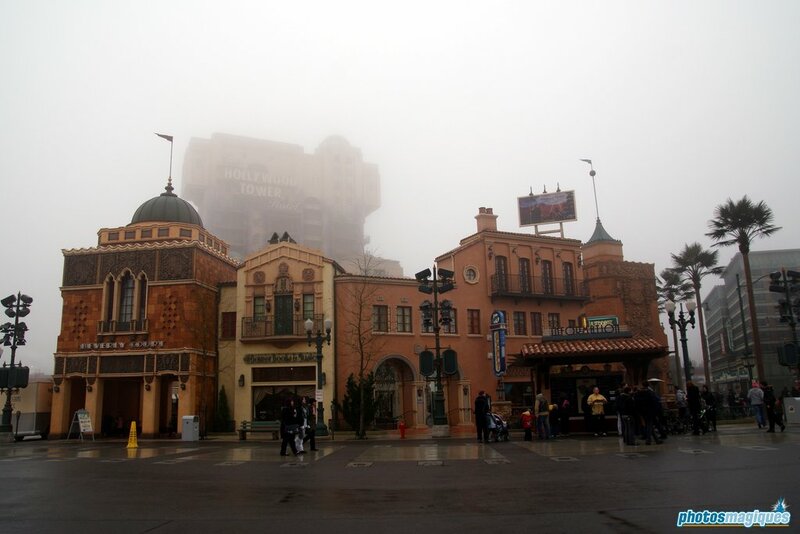 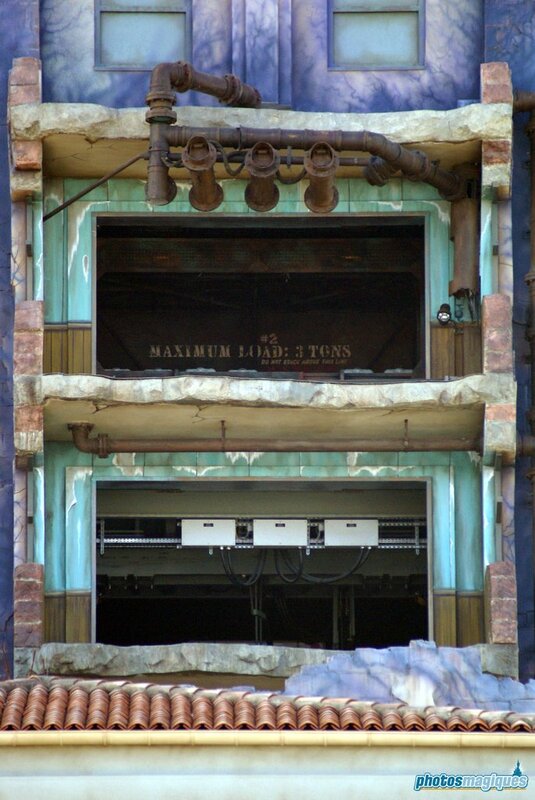 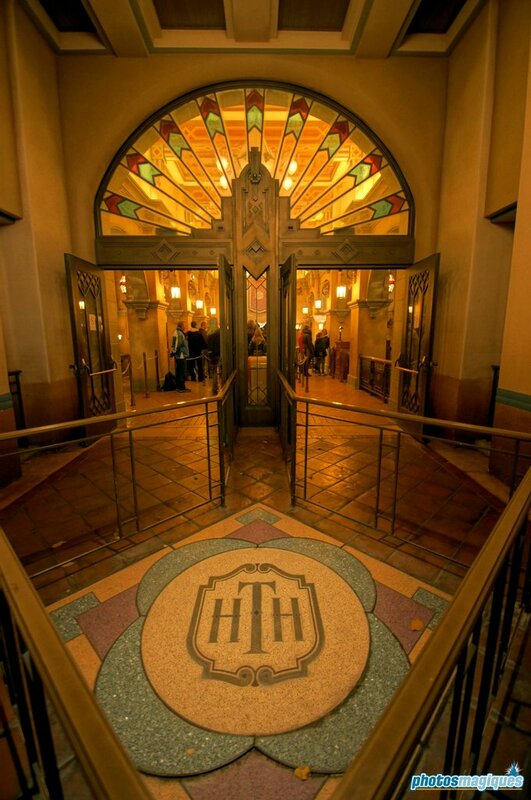 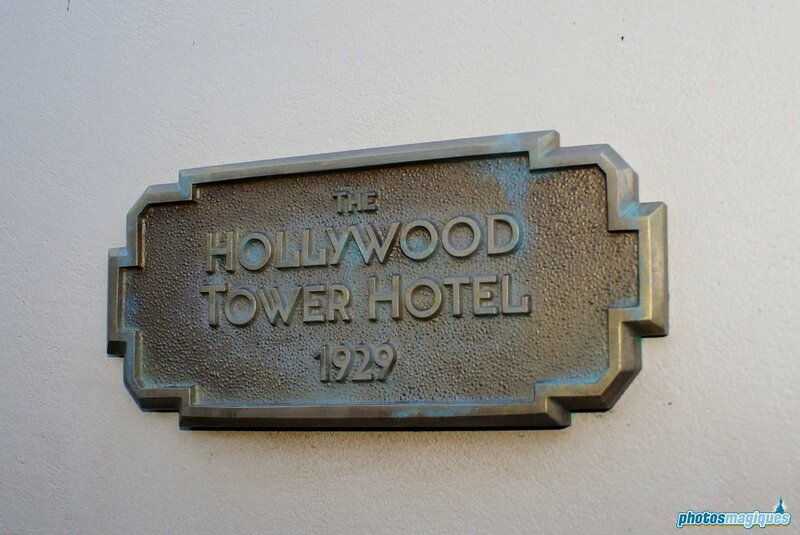 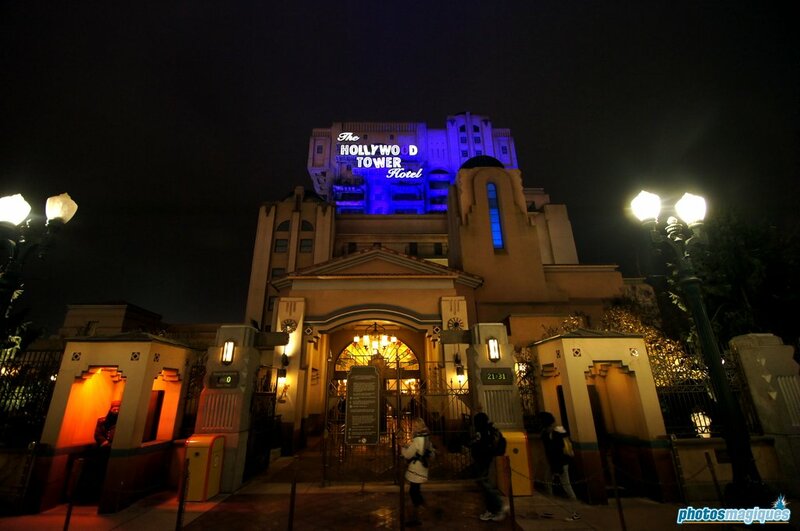 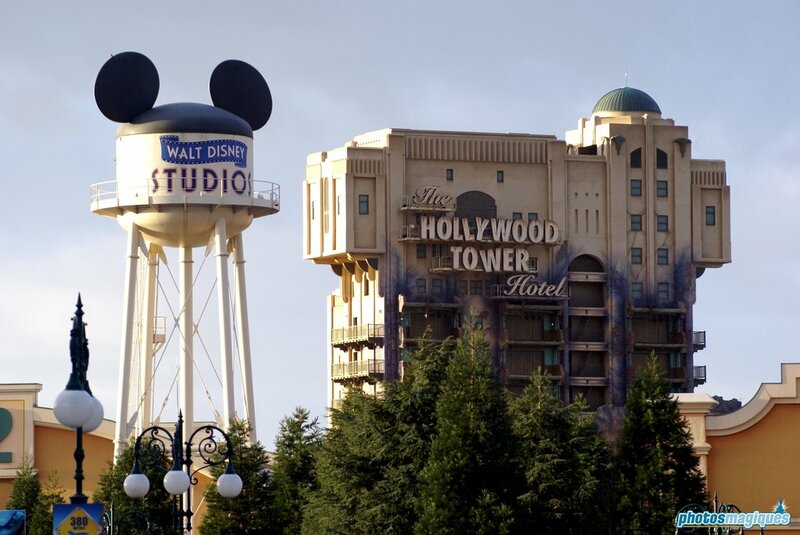 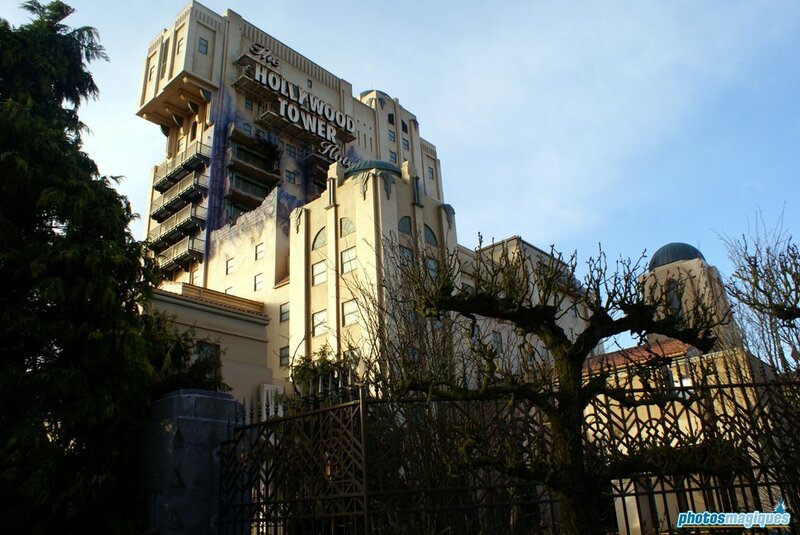 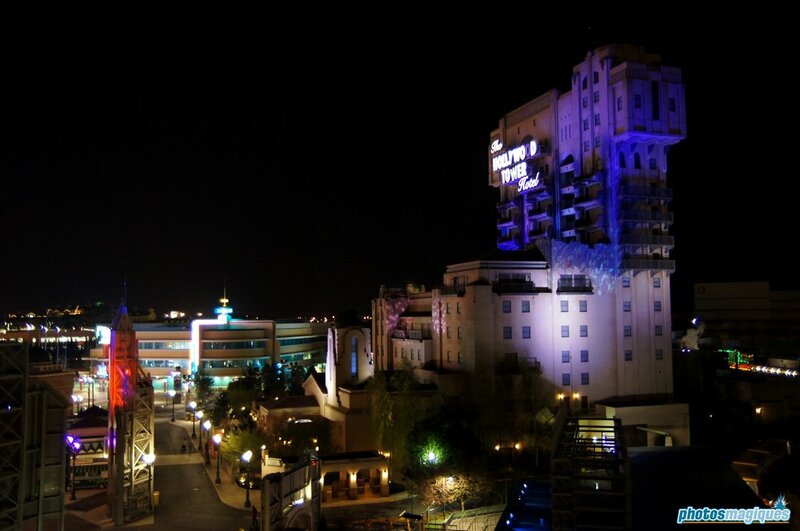 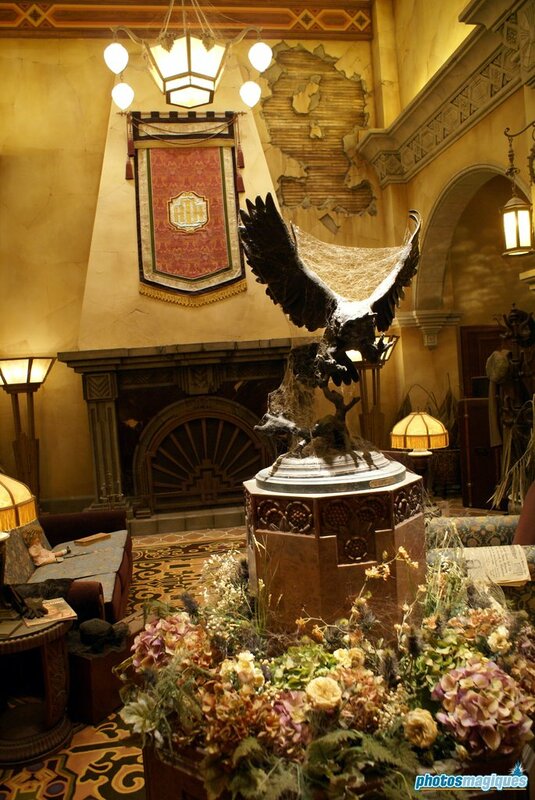 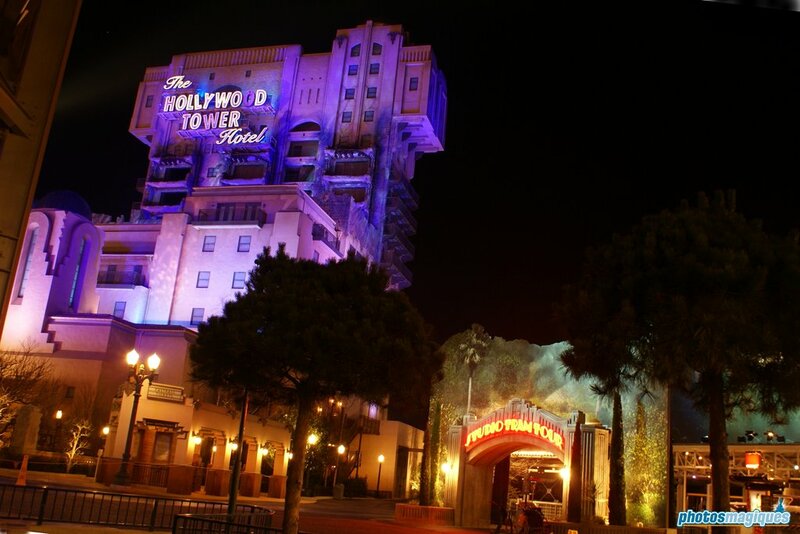 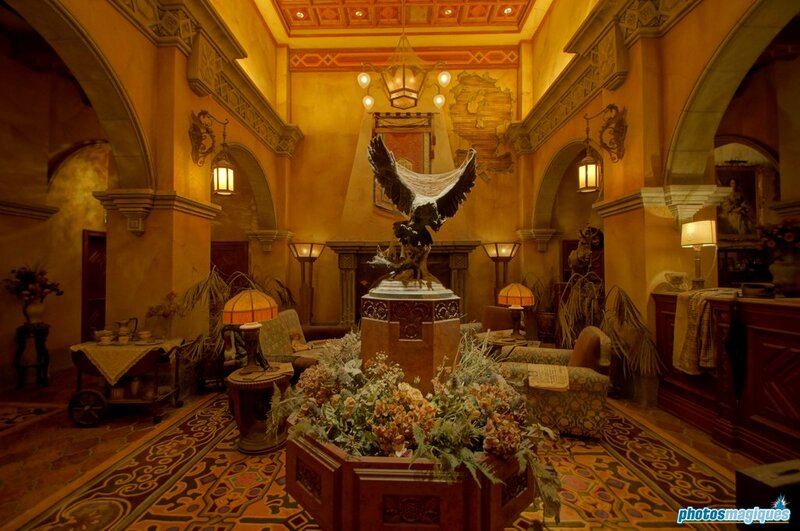 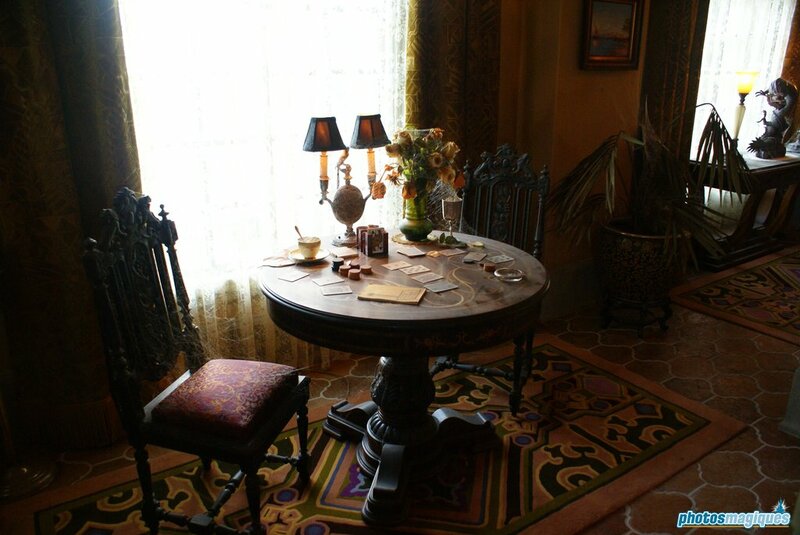 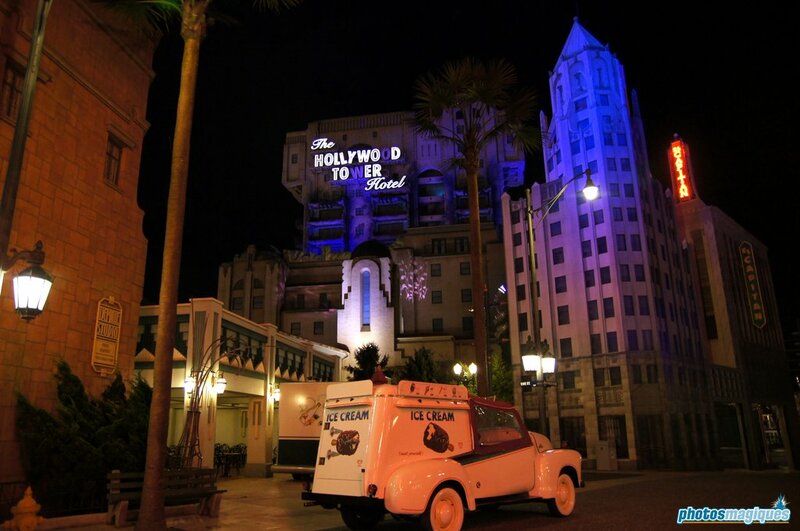 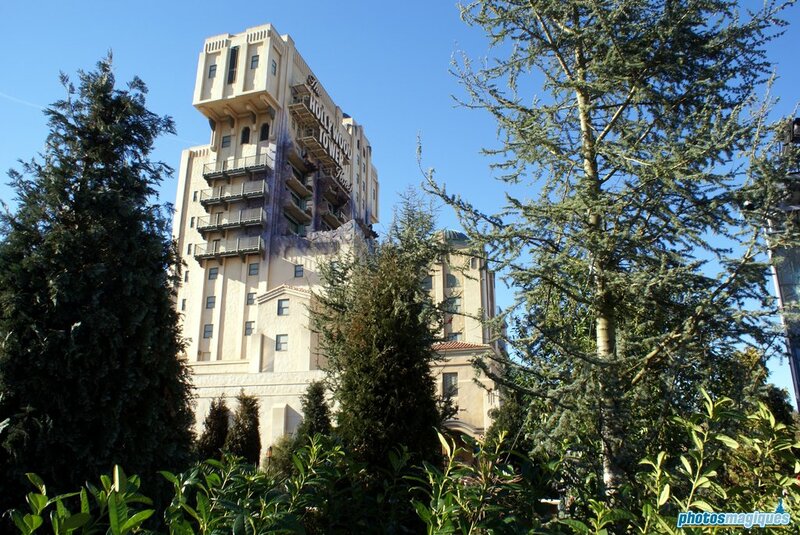 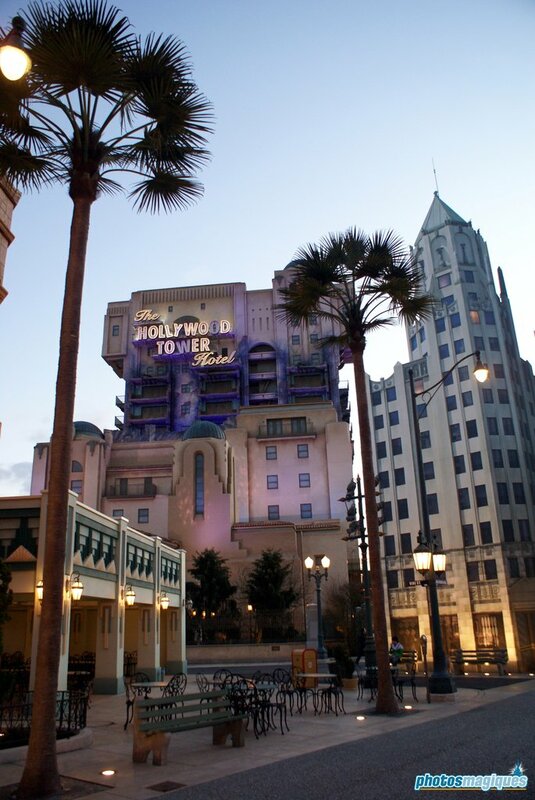 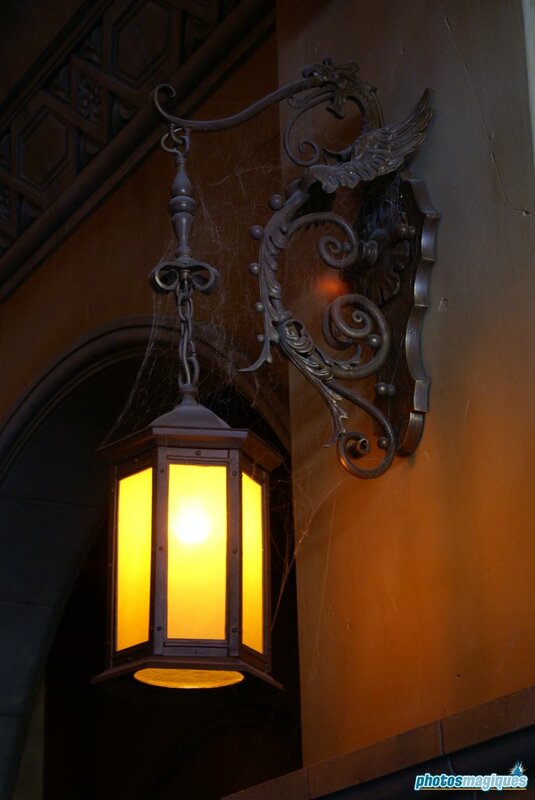 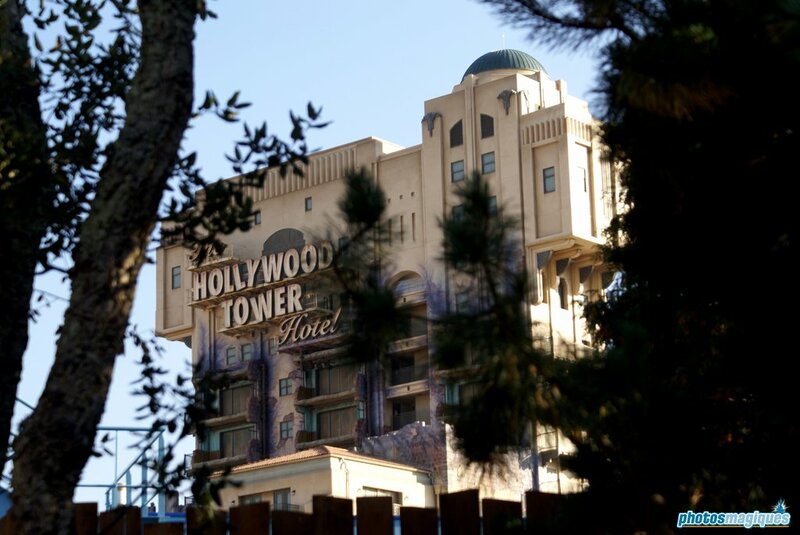 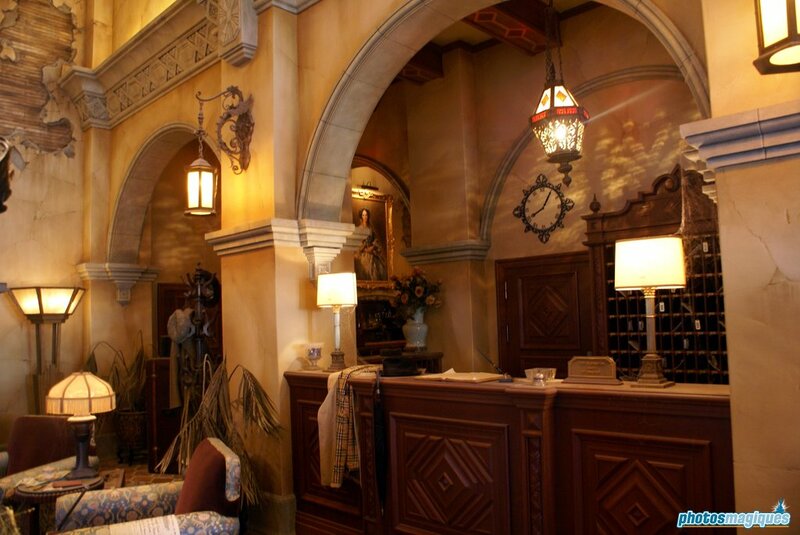 Five people checked in at the glamorous Hollywood Tower Hotel, never to be seen again! 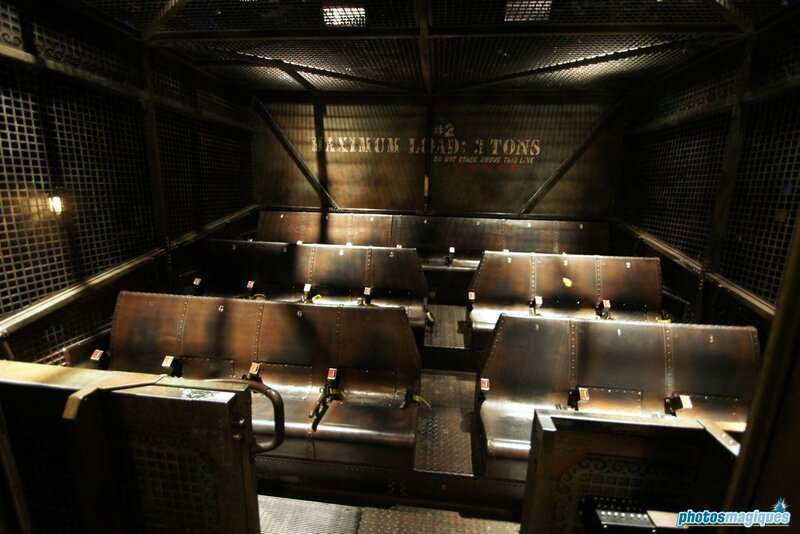 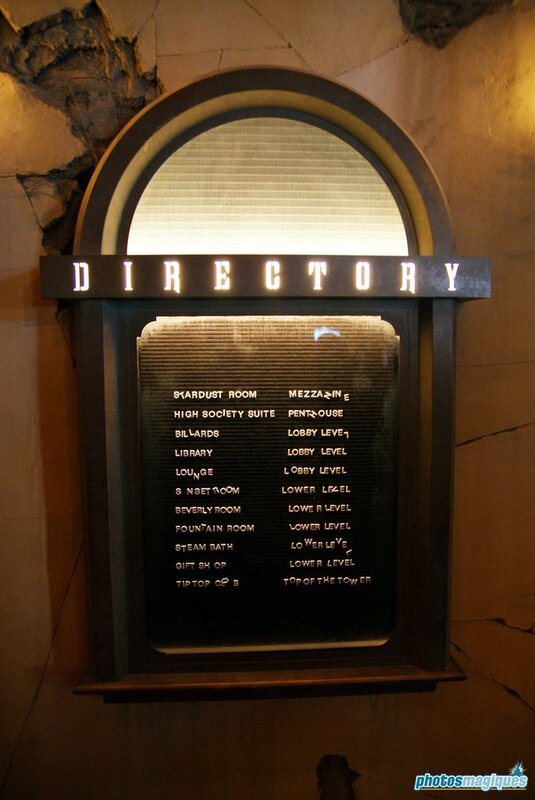 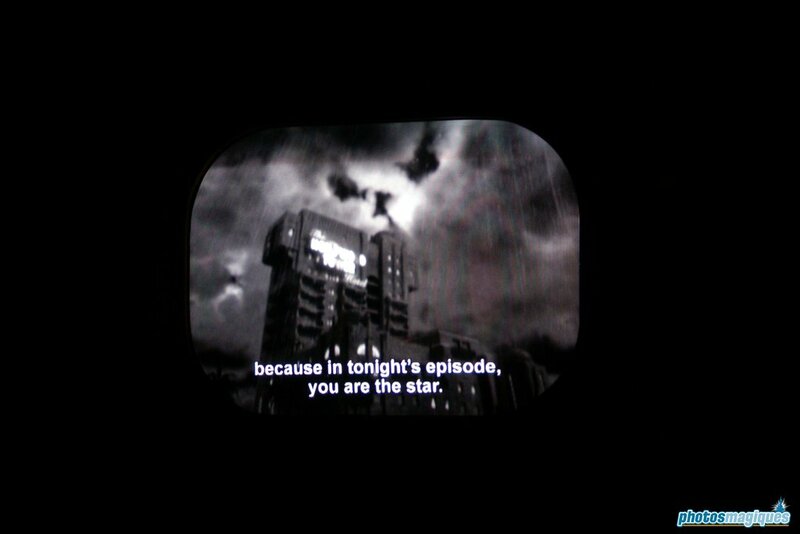 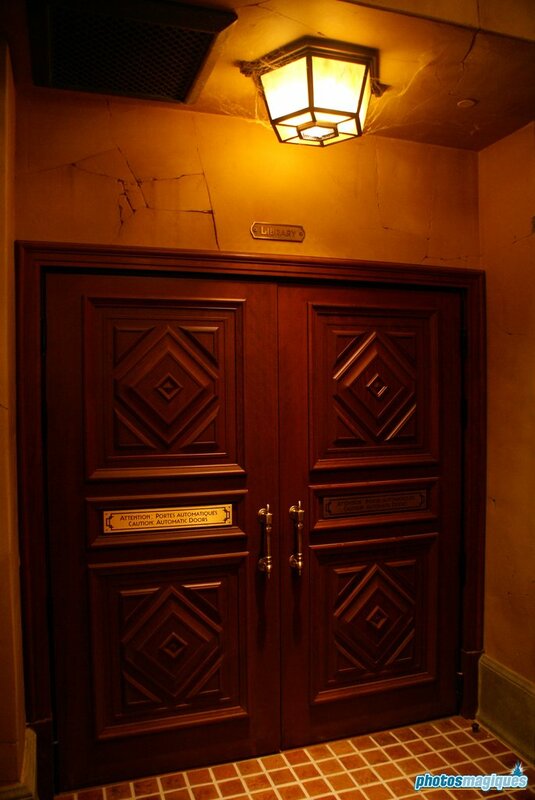 Many years later, the hotel re-opens its doors for everyone to ride the haunted service elevators. 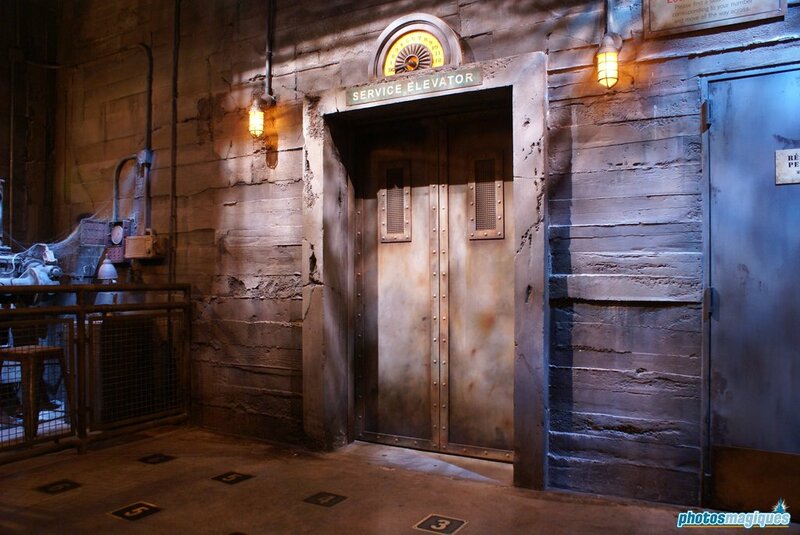 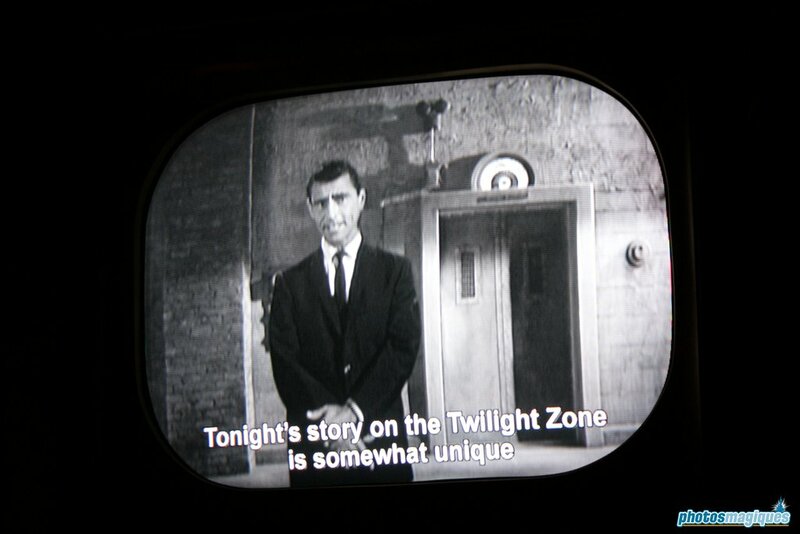 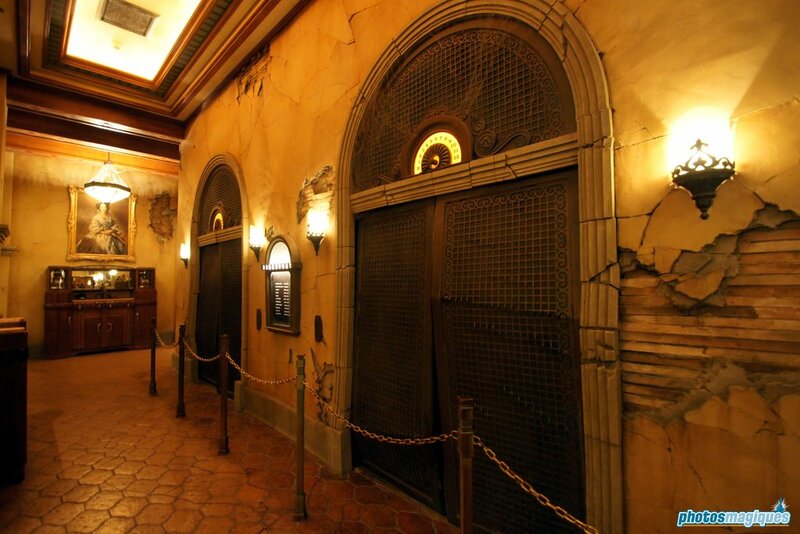 The Twilight Zone Tower of Terror is an enclosed “drop-tower-style” attraction with special effects and excellent immersive theming. 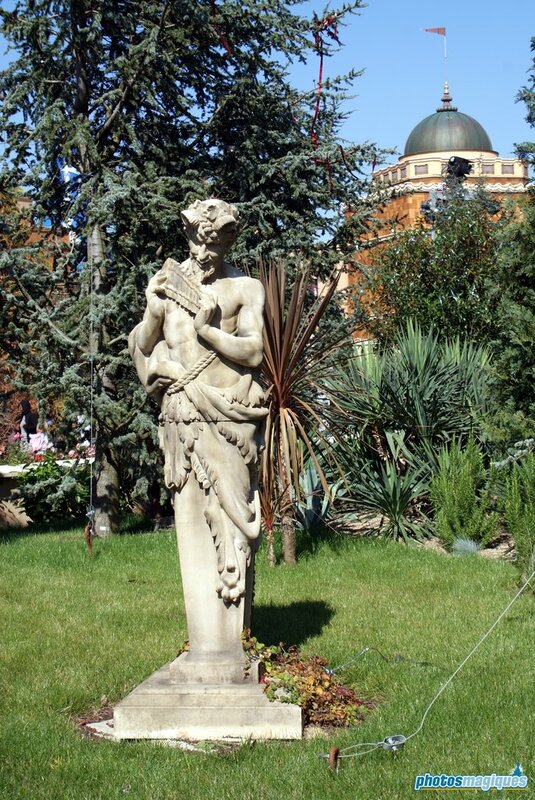 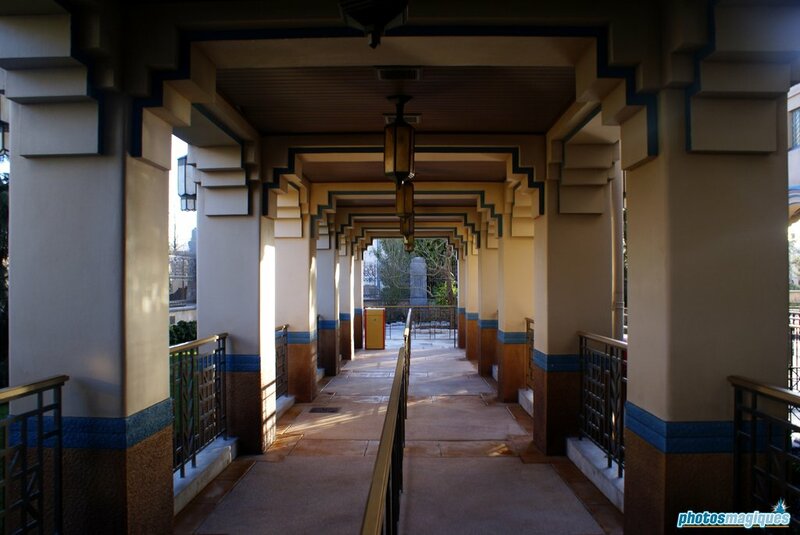 The building is designed in the Pueblo Deco style and stands approximately 55 meters (180 feet) tall. 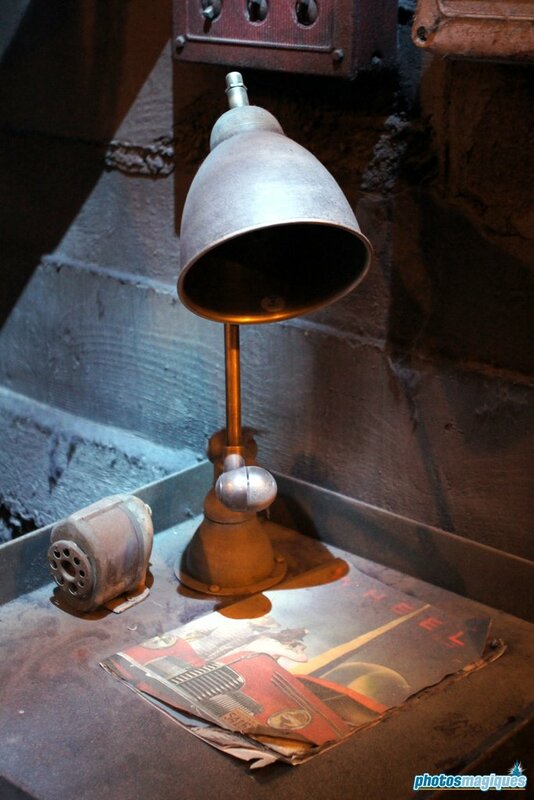 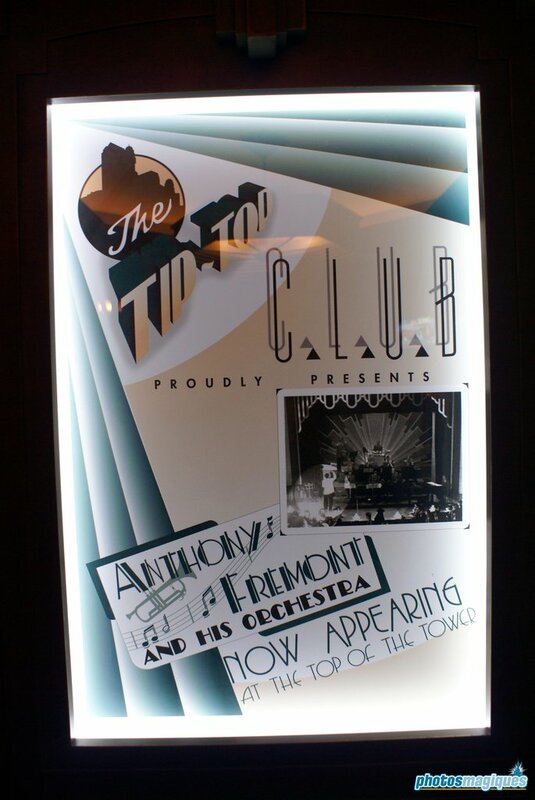 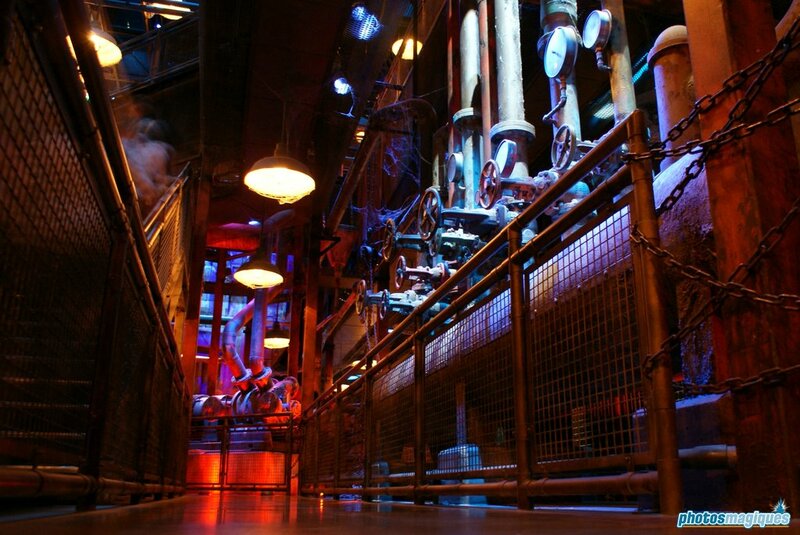 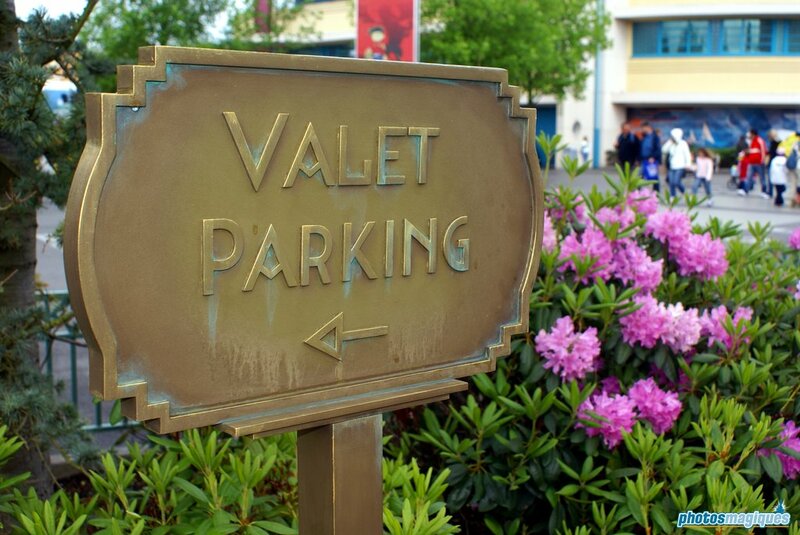 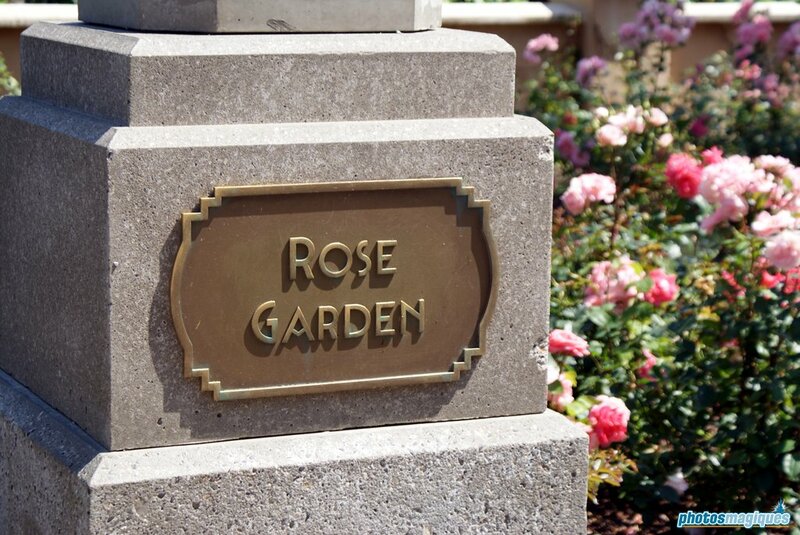 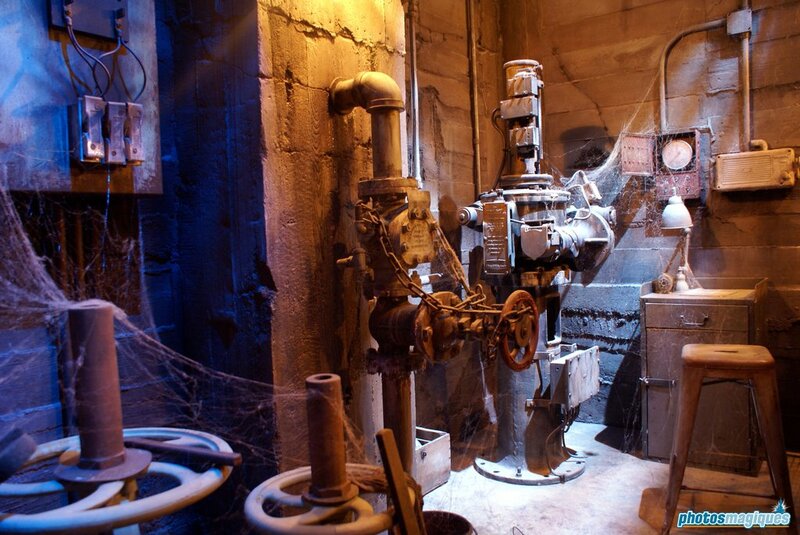 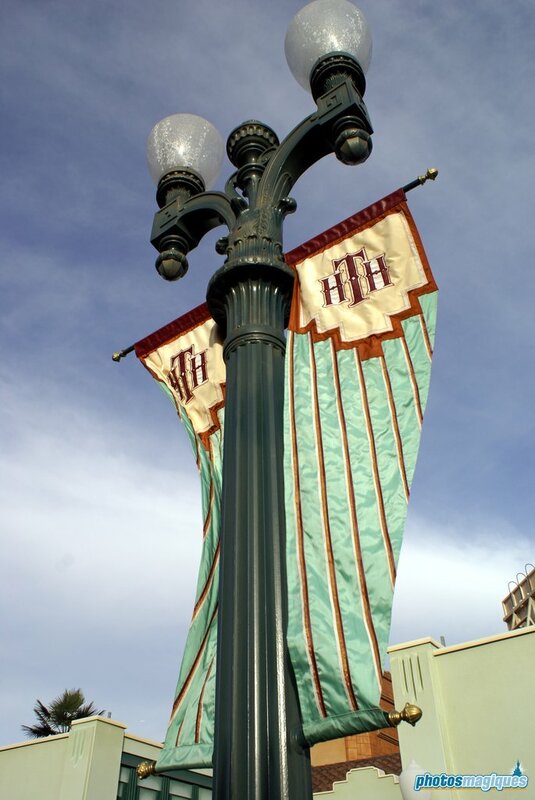 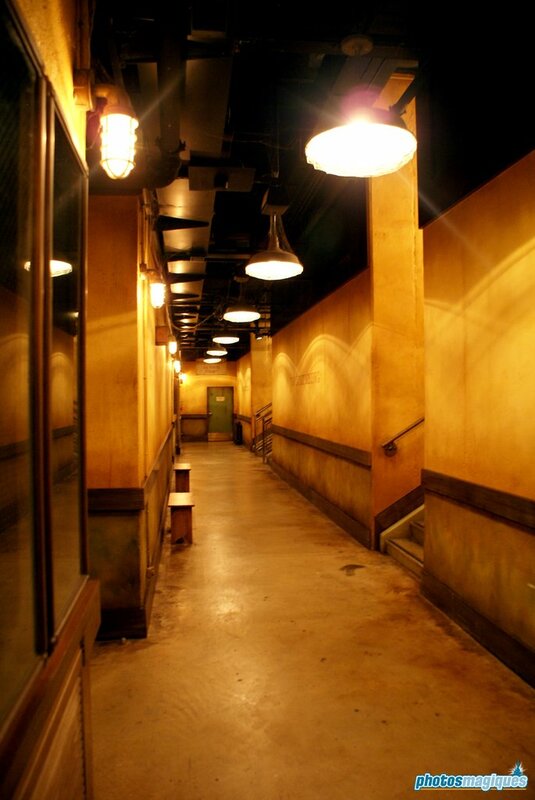 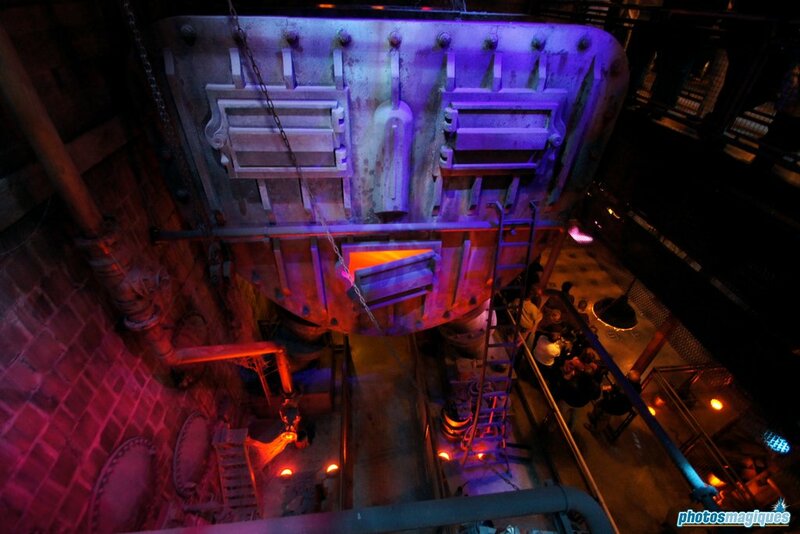 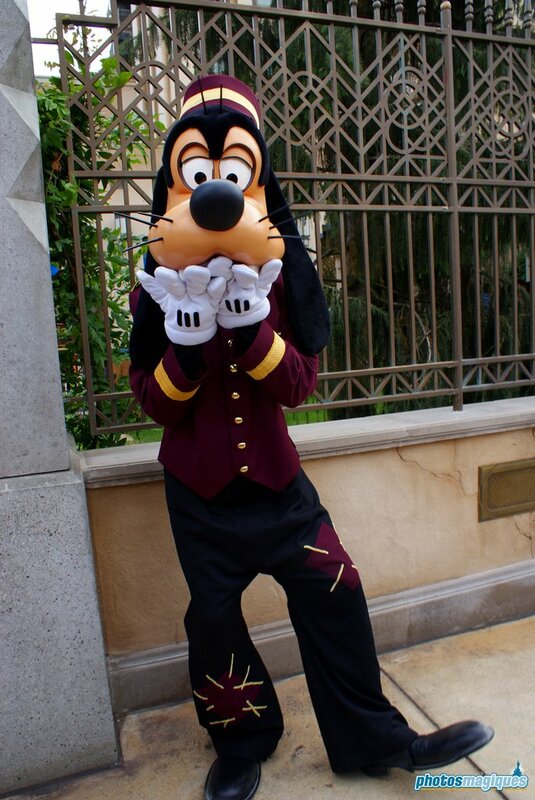 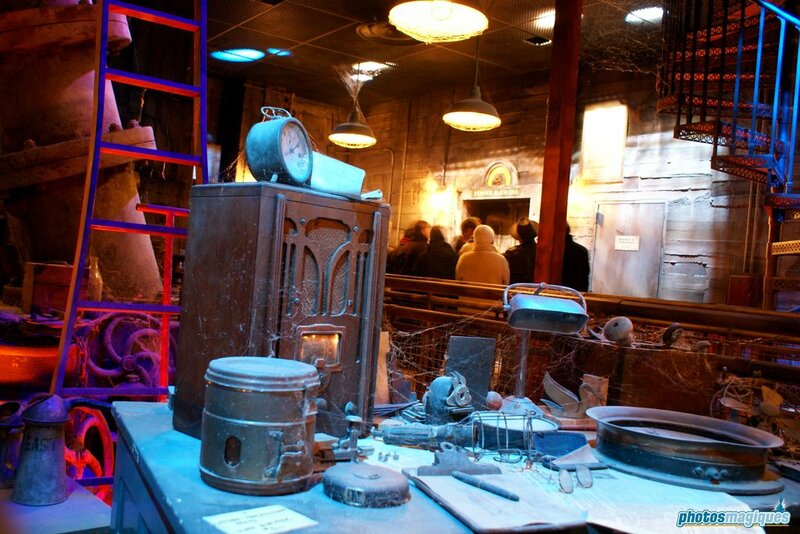 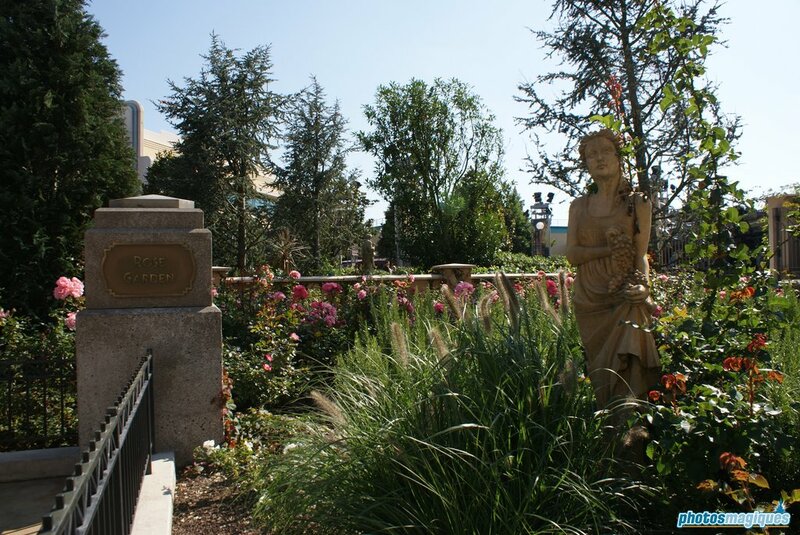 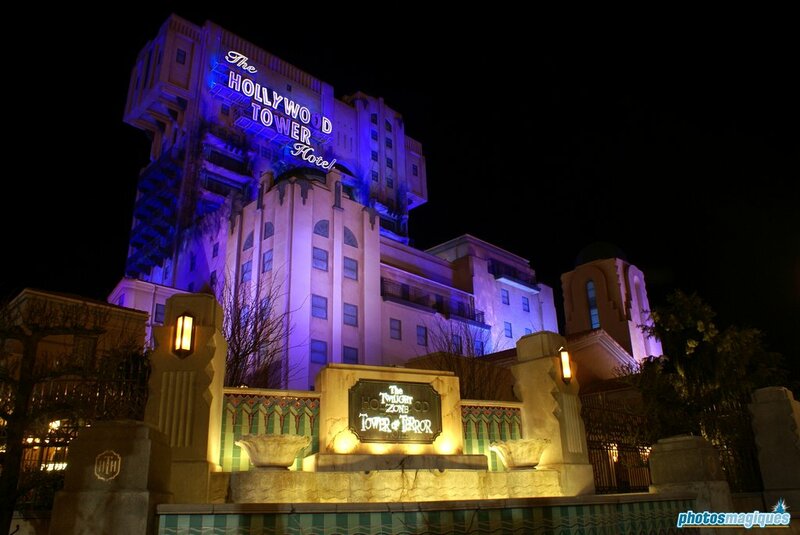 A near identical version of this attraction can be found at Disney California Adventure Park, which opened in 2004. 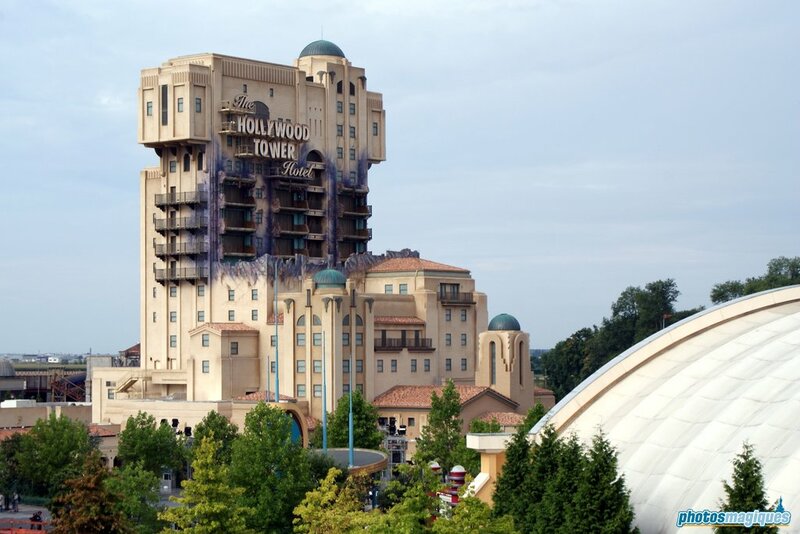 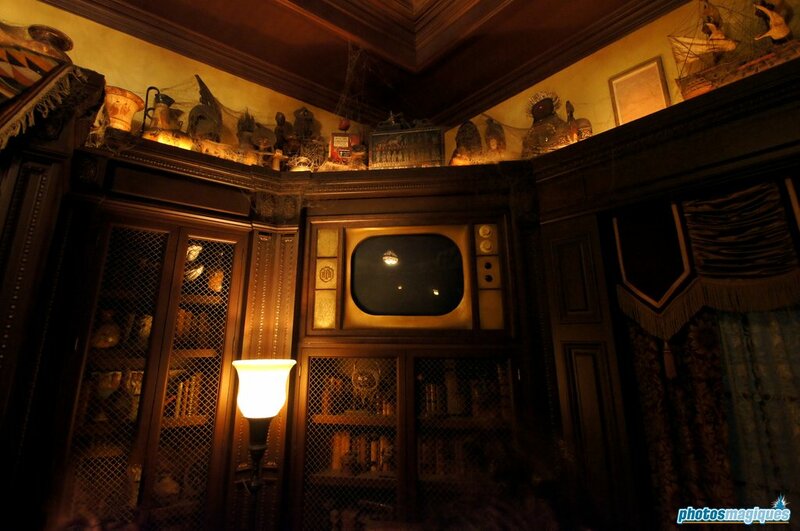 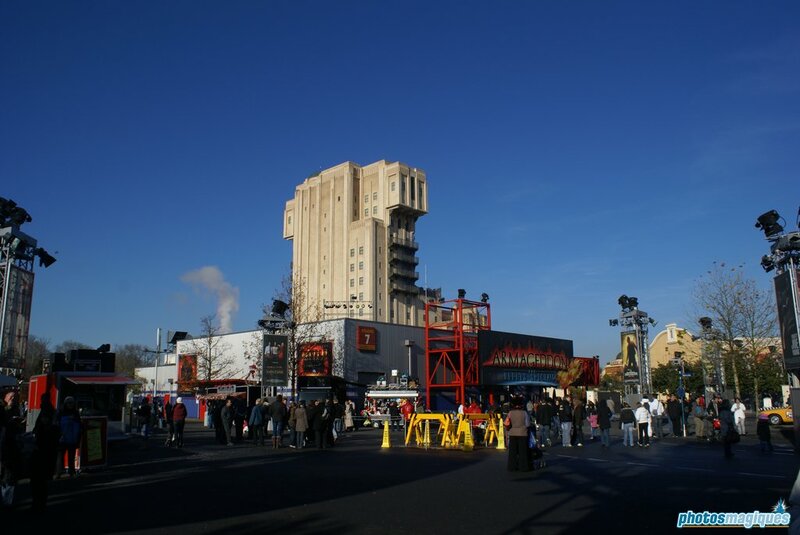 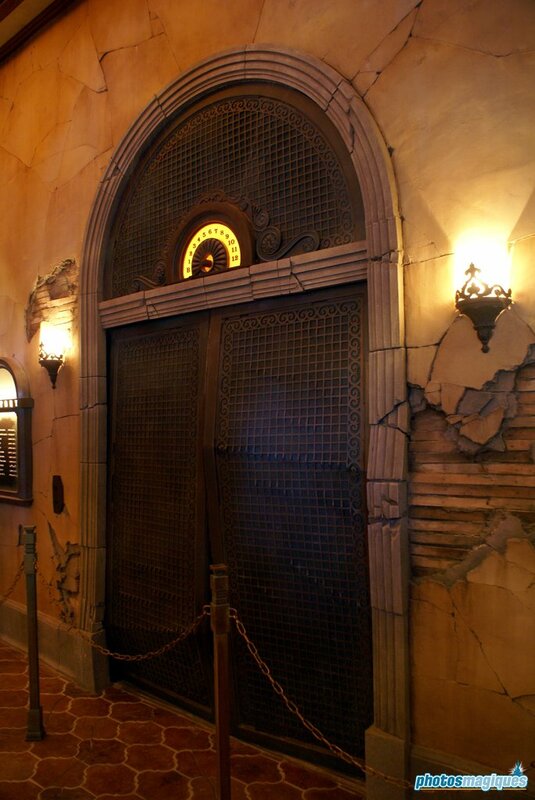 There’s also the original Tower of Terror attraction in Disney’s Hollywood Studios (Orlando) and a non-Twilight Zone themed version in Tokyo DisneySea. 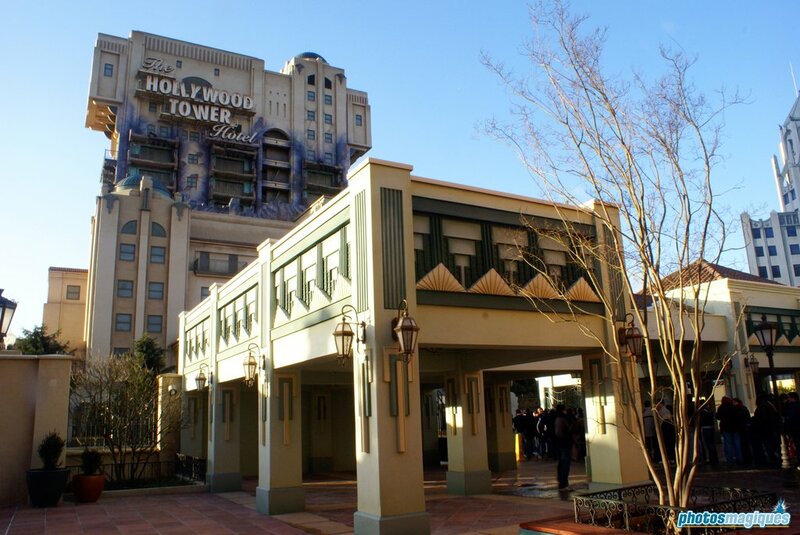 If you want a bird’s eye view picture of the building, ride Toy Soldiers Parachute Drop. 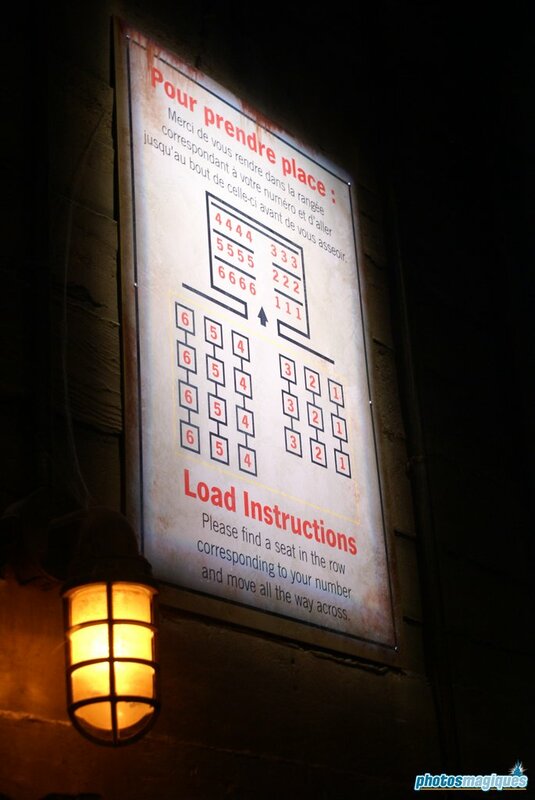 Take the Single Riders line and try to get a seat facing the Tower.